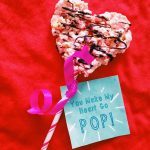 In about a week many kids will get to celebrate Valentine’s Day at school! For my girls (kindergarten and 1st grade) this is one of their favorite days of the year. They love picking out cards to give to their classmates and teachers. Also, as a class mom, I let them help me think of fun things to do at the class party. 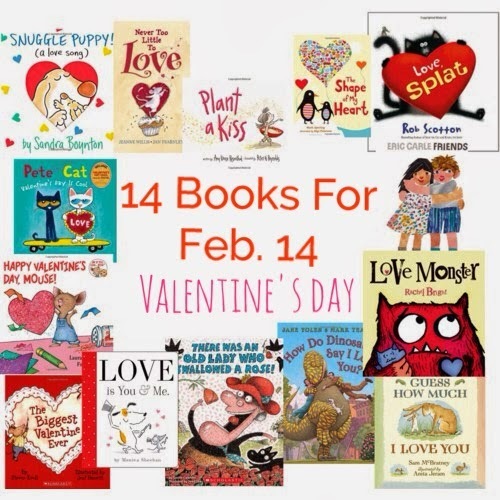 We won’t be doing all of the activities, crafts, etc below but they are some of our ideas for fun ways to celebrate in school. 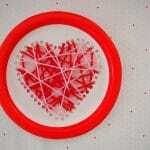 Ready for lots of red, pink and hearts? 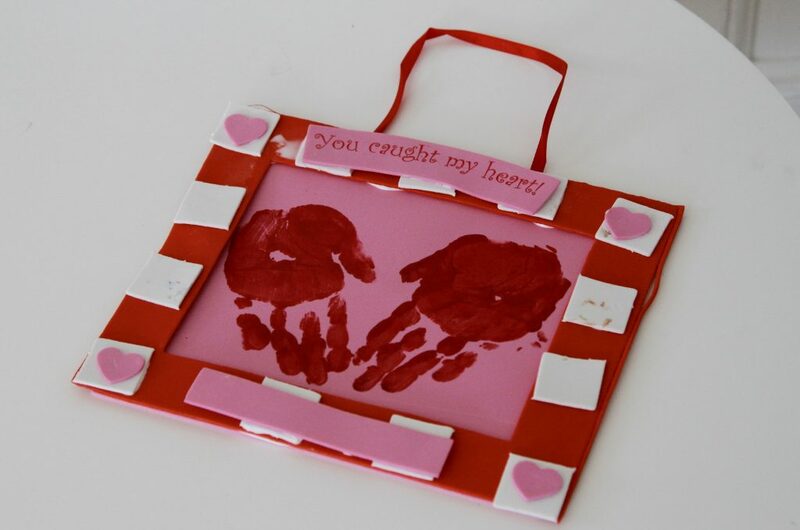 My girls love making crafts around Valentine’s Day. 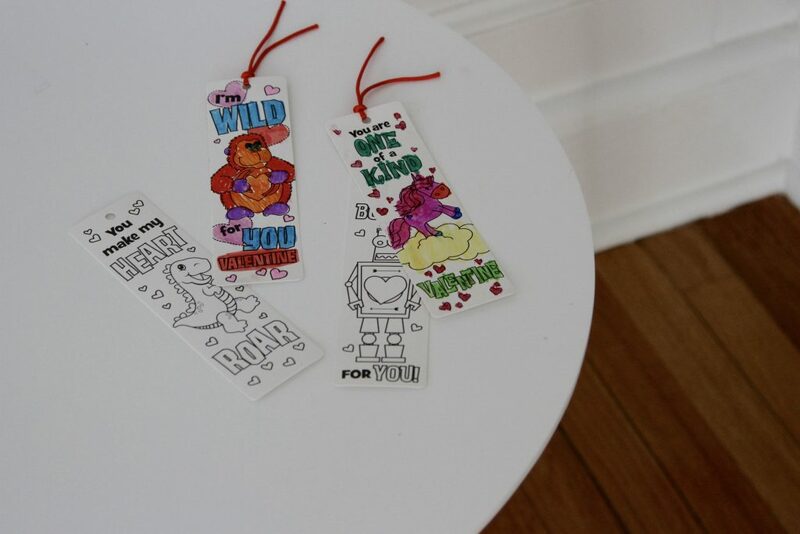 This year we have a big 1st birthday to plan and some travel going on, so I kept the crafts super simple and got some Valentine’s Day craft sets from Oriental Trading. They came out SO cute and (minus the handprint) my girls (ages 5 and almost 7) did them completely on their own. 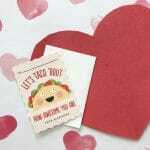 In addition, I did order some blank cards, heart doilies and Valentine washi tape from Oriental Trading for them to enjoy. 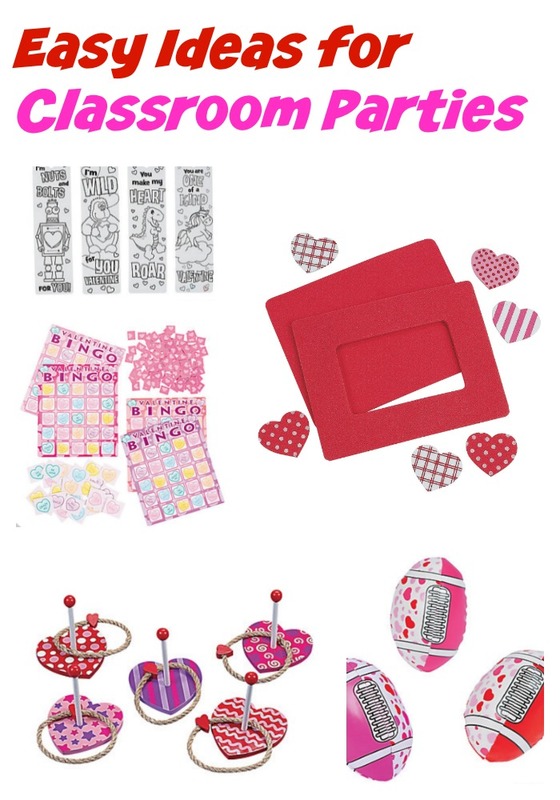 I would highly recommend any of these for classroom crafts, as the kids enjoyed them but also had no trouble making them. That is key when crafting with a whole class! I’m the class mom in Maggie’s 1st grade class and for her party we are just doing games this year. The other class mom thought of the cutest idea: relay races, holding conversation hearts with chop sticks! 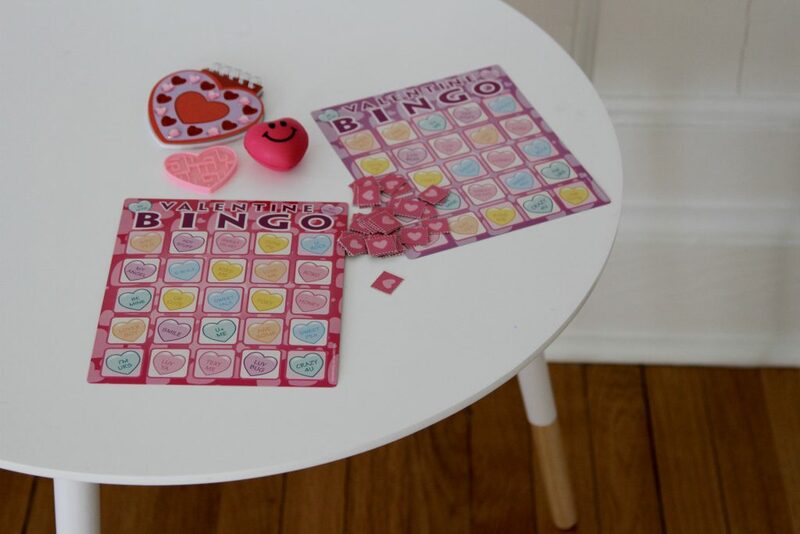 So we’ll be doing that game, plus a Valentine’s Day Bingo and Valentine Ring Toss that I got from Oriental Trading. 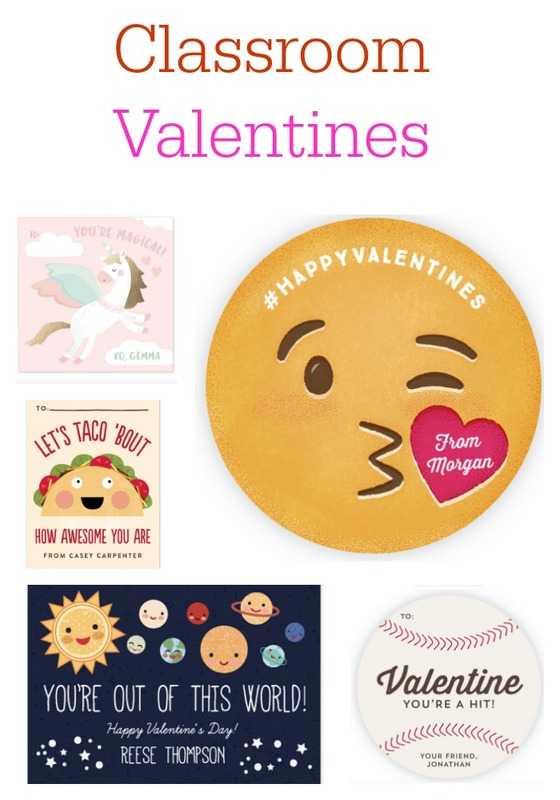 I also stocked up on a ton of cute Valentine’s Day “non candy” prizes such as: Valentine Footballs, Valentine Seals and a Valentine Toy Assortment. 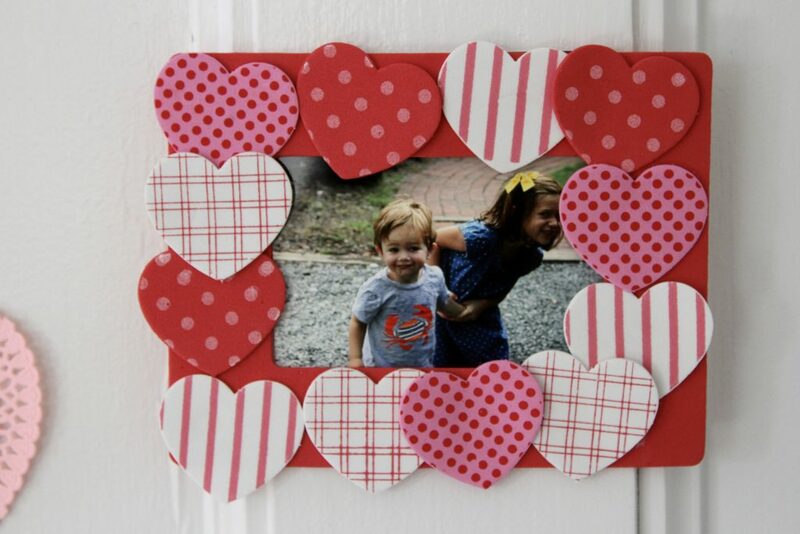 Everyone’s holiday card favorite, Minted, makes really fun classroom Valentines too! 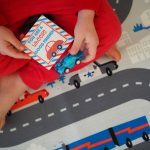 I have gotten these for my kids a few times and they are so easy and come ready to go. My girls had a blast picking them out. I let them browse around with no suggestions from me. 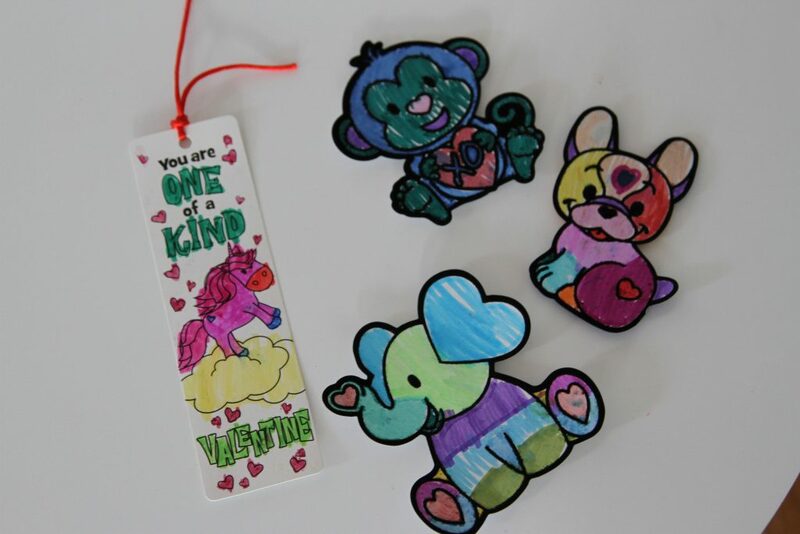 Maggie picked a coloring themed Valentine since she loves coloring and knows her classmates do too. 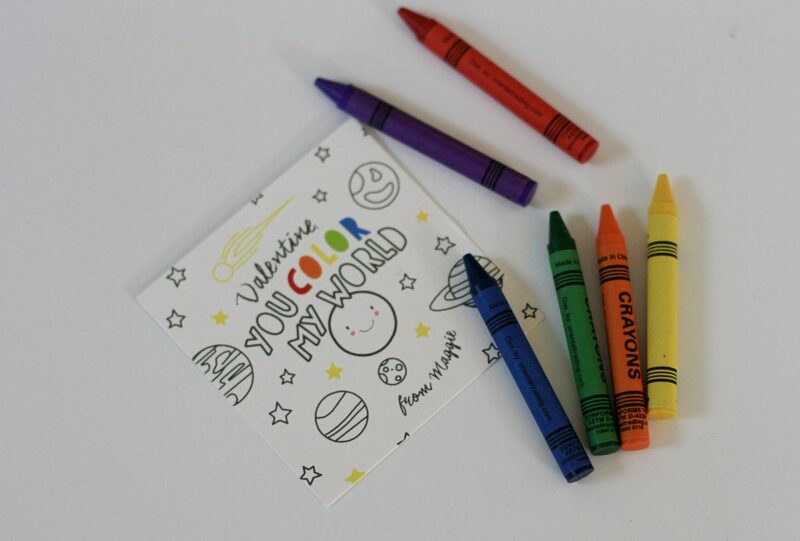 I am going to add in some crayons (found mini boxes on Oriental Trading) and she’ll write each kids’ name on the envelope. Alex spotted this funny card and said “hey can you change that to my picture?” and when I uploaded her photo she couldn’t stop laughing. 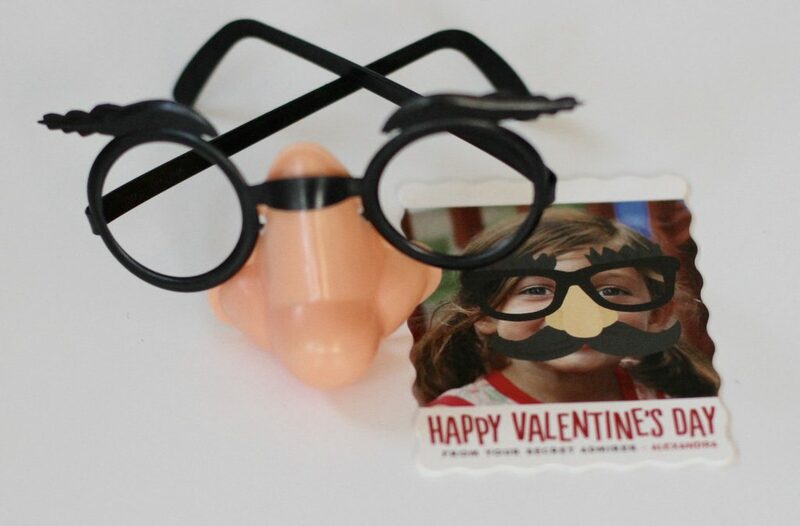 I found some cheap glasses to pass out with them so her classmates can get a kick out of seeing what they look like in them too! 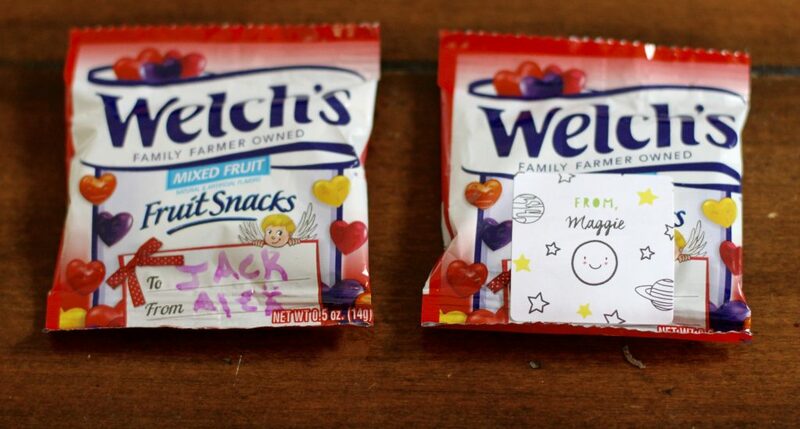 One other SUPER easy idea I found for class Valentines: Welch’s Fruit Snacks makes a Valentine’s Box. There are 28 packs of fruit snacks in them, so you should just need one for a class. They are heart shaped with little emoji faces on them. PLUS there’s a spot right on the individual pack to write your “to & from”. It really doesn’t get much easier than that! You can find them at Target or the grocery store. 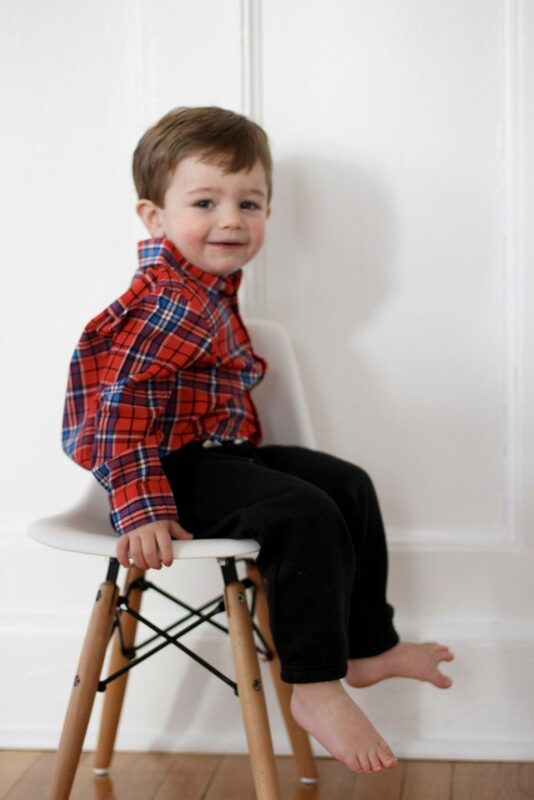 Last, but not least, one really fun thing about Valentine’s Day class parties: getting dressed up for the occasion! 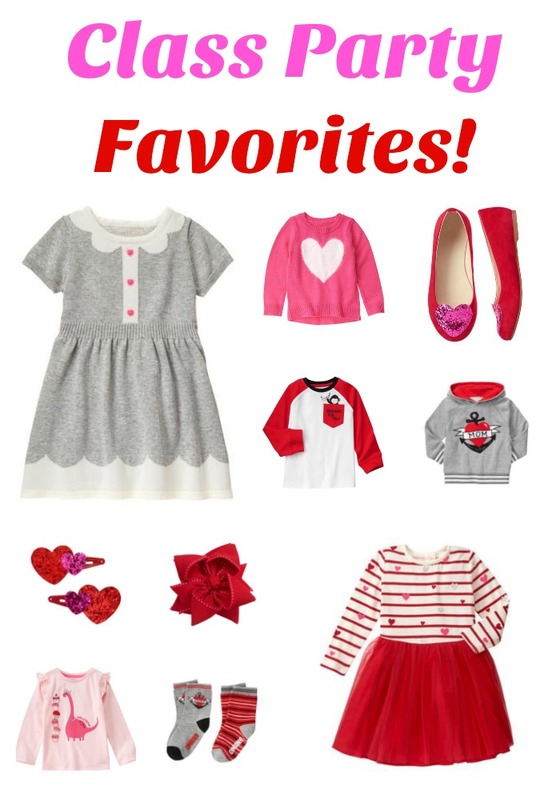 My girls like clothes that are red, pink and sparkly, so picking out Valentine outfits is fun for them. 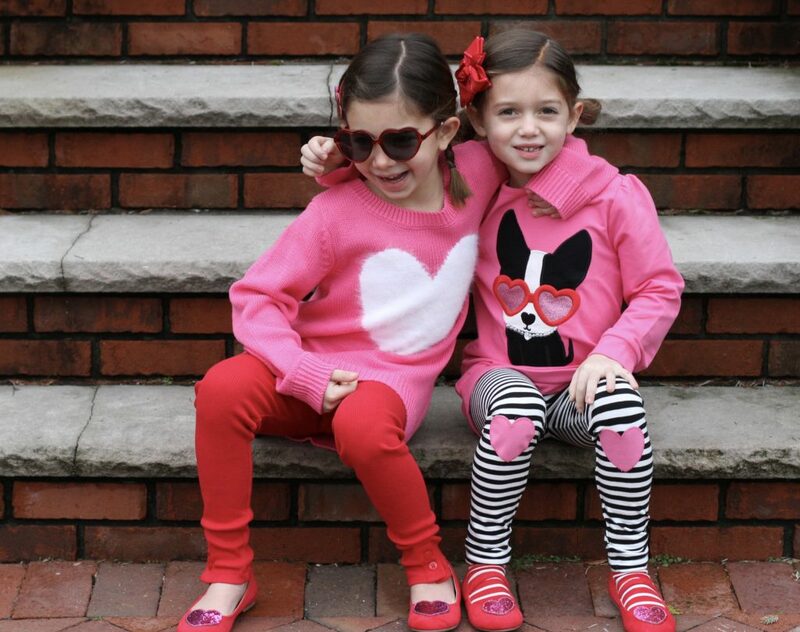 For the 2nd year in a row, Julie and I both picked out Valentine’s Day outfits for our kids from Gymboree. 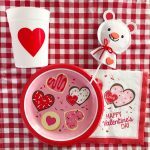 Right now they are having a HUGE sale and all of the Valentine’s Day items are 50% off. They always have an adorable collection and this year’s is awesome! 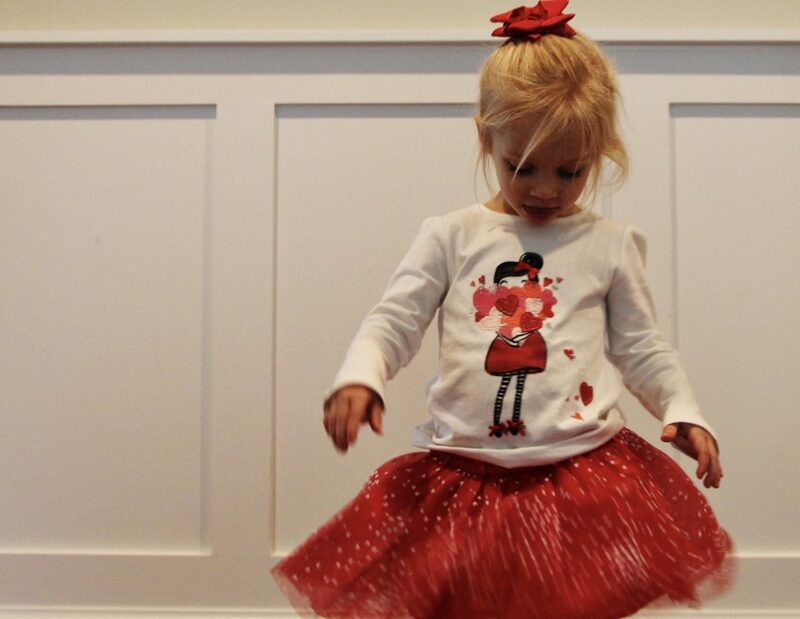 In addition to really cute clothes, we love the festive accessories for kids at Gymboree. 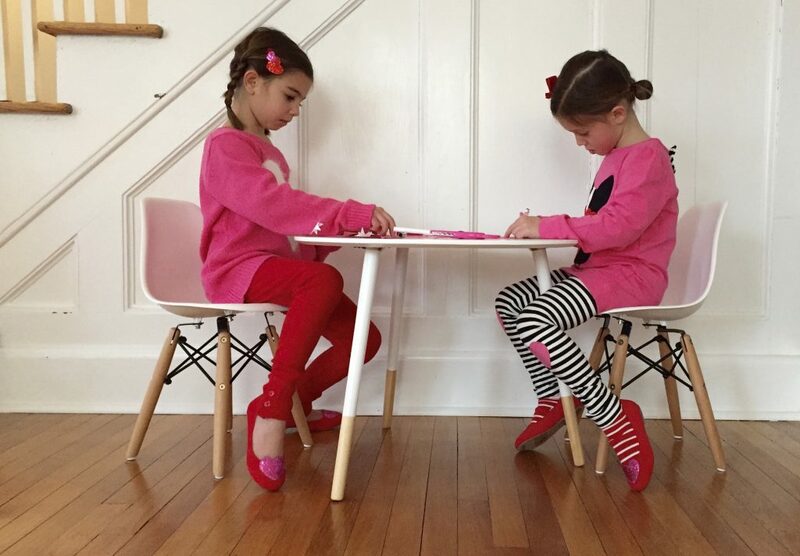 From bows to pink dinosaur necklaces, there are so many options.